Welcome to the Motorcycle Ride for the Mind Website. 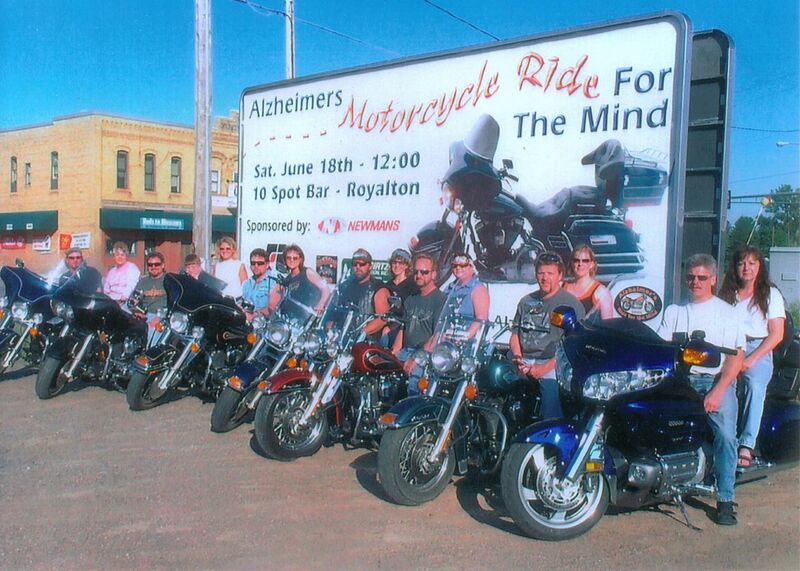 Motorcycle ride for the mind was organized to help raise money for the research and aid with Alzheimer's disease. This year will mark the 13th annual Bike Rally that will take place in central Minnesota. Over the past years the event has been very successful at helping raise money for the cure and we hope to continue the tradition. A special thanks to everyone who has made this event a success over the years. It's because of all of you we were able to raise over $250,000 in 12 years. All of which has gone to research and aid of Alzheimer's disease!! !